The Hornets shocked the Boston Celtics in the NBA on Saturday, overcoming an 18-point deficit in the final eight minutes to claim a 124-117 victory in Charlotte. 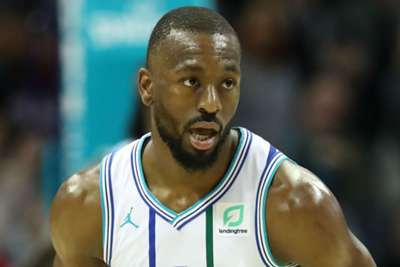 Kemba Walker dominated the contest, totalling 36 points, 11 rebounds and nine assists for Charlotte. He even shared the ball with style, rewarding Miles Bridges' defensive efforts by throwing him a lob on the break. The Hornets are just 2.5 games back from the final playoff spot in the Eastern Conference. The Celtics are firmly in fifth place. Karl-Anthony Towns racked up 33 points and 23 rebounds in the Minnesota Timberwolves' 112-99 victory over the Memphis Grizzlies. Trae Young poured in 32 points and 11 assists as his Atlanta Hawks topped the Philadelphia 76ers 129-127. Rudy Gobert had 21 points and 14 rebounds in the Utah Jazz's 114-83 trouncing of the Chicago Bulls. Kris Dunn scored four points on one-of-eight shooting in the Bulls' loss. DeMarcus Cousins showcased his handles and blew by Dallas' Luke Doncic for a slam in the Golden State Warriors' loss to the Dallas Mavericks. San Antonio were just one of the hottest teams in the NBA, but they have lost their last two games. Boston are still struggling to find consistency, as they enter Sunday having lost three straight. Both squads have All-Star calibre talent and are looking to get back on track.